I was recently invited to attend a screening of the film Super Shrink Me by Boulderite, nutritionist and filmmaker Ande Anderson. After the somewhat uncharacteristic but delicious spread of mainly salamis and cheeses and some mingling, the movie started playing. The film is a response to Super Size Me, Morgan Spurlock’s documentary about the horror that is our fast food industry. Super Shrink Me checks back into the fast food culture 10 years later to see how the industry has changed. I wanted to like it. But at first, I didn’t. My biggest turn-off being the fact that the documented journey, and Anderson’s partner and test subject Ike’s subsequent weight loss, was very calorie focused and driven. The foodie, gardener and holistic health nut in me cringed at the lack of attention given to the synergistic component that I see as so integral to well-rounded health, including cooking for oneself, an awareness for freshness and the source of ones food, and the respect for the intuitive food cultures that, for instance, pair olive oil with tomatoes for myriad health reasons, the simple synergy of which can be lost once the dreaded dietitian starts to pick it apart. But by the end of the film, my mind had cracked open a bit to the wisdom of the film and my own respect for Anderson and her mission. The component that I had initially missed was that the film is not designed for me. The audience is not the kale-eating, brown rice garden whores of Boulder. The audience is the average American, for whom the suggestion of investing in a share of local goat milk and sprouting your own millet seeds from a home aquaponics set-up is not only unrealistic, but terrifyingly unapproachable. This film is designed for the mother in New Orleans whose family’s poor health choices are based on a lack of, what we would consider, very basic knowledge as to how to feed oneself. This film, as stated by Anderson, is designed to “meet people where they are,” keeping in mind that if you go overboard with your health preaching, “the message will be lost”. What led you to make Super Shrink Me? The film was ultimately inspired by Super Size Me, which came out 10 years ago. I wanted to explore what had changed in the restaurant industry since Morgan Spurlock went on his 30 day adventure eating at McDonald’s 3 times a day. His film made such an impact on the world that I was fascinated to see what changes had been made since. My partner, Ike Allen, loves eating out at Quick Service Restaurants, and he had gained some weight and wanted to lose it but didn’t want to have to sacrifice eating out. I was confident that if I guided him to make healthy choices at the restaurants he loved, and if I helped design a fitness routine that he enjoyed, that he would be able to lose at least 10 pounds in 30 days. He ended up losing 12 pounds. I created Super Shrink Me to meet the needs of a very broad audience. Over 2/3rds of American adults are obese or overweight today.The average American also eats out several times a week, so Super Shrink Me is a great guide for those who are ready to change their habits but don’t want to stop eating out to get there. It’s all about awareness and baby steps. The more aware we all are about the food choices we are making, the more able we are to make healthy choices. At the end of the day, it all comes down to personal responsibility. Ike was ready to take 100% Responsibility for the food choices he was making, and thus his journey to lose weight was successful. Society often wants to blame our poor health, our obesity, etc on someone else – restaurants, food companies, manufacturers, farmers, the government, you name it. But the reality is, healthy choices are becoming more and more available to us, and it’s up to each of us as individuals to make those choices in favor of our health…or not. I was born and raised in Boulder. I grew up eating fresh peas off the vine in my mother’s amazing garden, getting lots of exercise, and from a young age, getting interested in fitness and healthy food. I got my undergraduate degree in Kinesiology from CU Boulder, and got my masters in nutrition at the renowned naturopathic medicine school, Bastyr University near Seattle. Boulder and Seattle were very similar environments to live in – they are both very well-educated communities when it comes to healthy eating and active lifestyles. I experienced a major culture shock when I moved to New Orleans to do my dietetic internship in 2008, and the way I coached people in healthy eating completely changed. I was finally experiencing the “real world” where educating a young mother in filling her infant’s bottle with water instead of soda was a bigger priority than encouraging her to eat more quinoa and kale. My experience in New Orleans shook me and I never forgot what I had experienced. Years later, during the creation of Super Shrink Me, I reflected on all that I learned in New Orleans, which helped me create a film designed to meet the average American audience where they are at in life. I believe I can have the biggest impact on their lives from this place. What are you trying to get across? I am passionate about supporting restaurants and food companies that are transitioning to provide healthy choices for the world. In a world often viewed as problematic, I’m committed to looking at what positive changes ARE happening, as opposed to what’s wrong in the restaurant and food industries. There’s a Voltaire quote that says: “Don’t let the perfect be in the enemy of the good,” and this is what I base my life’s work on. My next film is called Simplify Me. While Super Shrink Me is a look at the positive changes happening within the Restaurant Industry, Simplify Me will explore the positive changes happening within the Food Product industry. Many local Boulder and Denver food companies, like Justin’s Nut Butter, Rudi’s Organic Bakery, WhiteWave Foods are making small changes toward simplified, real-food, healthier products. We have to support companies that are on-board and taking a stand. This trend will shift back, it’s already happening. At this point, it’s all about demand. These companies and others are featured in Simplify Me, which is due to release in the Summer of 2014. 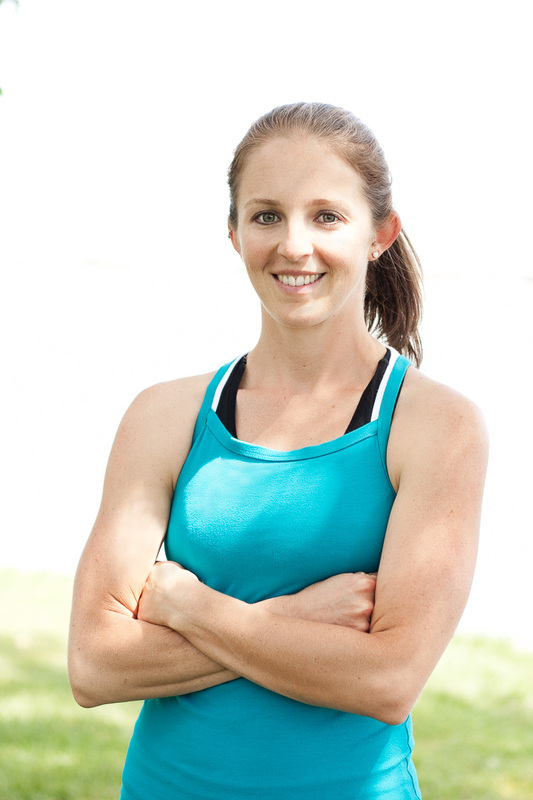 I provide One-on-One Food & Fitness Coaching with clients, either online or in person. I also provide personal & family Grocery Store Tours, customized to where you shop and what you need. I’ve done tours of everything from Whole Foods to Walmart. I offer Active Coaching, where clients and I take their nutrition and food consultations to the trails, while we walk, hike, or jog together. I’m also a public speaker and love speaking to groups, conferences, expos, universities, etc, about the positive changes happening in the world of food & fitness. I thoroughly enjoyed my talk with Ande- which went far beyond this interview and included lots of quote sharing, book recommendations and excited info exchange. After our conversation, I can safely say that I believe in Ande and believe in what she’s doing. Her business’s mantra (In a world often viewed as problematic, we focus on the positive) is a refreshing and well-needed perspective in an otherwise terribly intimidating world of inherited problems and my generation’s frantic need to fix all of it, now. If you run out today and watch all of Ande’s movies, I’m sure she’ll be thrilled. But if you come away from this article with a sense of empowerment and renewed energy in your ability to make positive, albeit small, changes based simply on awareness, conscious choices and sustained positivity, I’ll feel like both of us will have succeeded. Check out Ande Anderson’s business, Avaiya Media. Watch Super Shrink Me here. Ande offers Food & Fitness Coaching as well as Grocery Store Tours. Click here for more information. Excellent article, Ariana. I appreciate Ande’s mission to “meet people where they are”, and also your honesty in your response. Good luck to both of you changing the world one bite at a time. Dear Brown Rice Garden Whore: I am laughing my asparagus off! Good article about a smart lady….and once I read BRGW, I chuckled all the way through. : )!!!! !